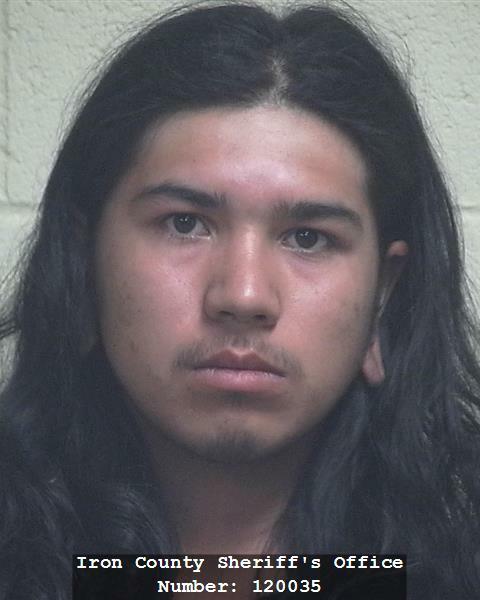 CEDAR CITY – An 18-year-old Cedar City man accused of sexually assaulting two teenage girls was arrested Thursday for felony charges. Jakey Joshua Wall is facing two counts of forcible sexual abuse, both second-degree felonies. According to the charging documents filed in 5th District Court Friday, an 18-year-old female told Cedar City Police that Wall had sexually assaulted her on Aug. 7. The following day, Wall allegedly assaulted a 14-year-old female in a similar manner. The juvenile told investigators Wall had pinned her down against her will. She also said he groped her, documents state. Both incidents allegedly occurred at the defendant’s home. Wall initially denied all of the allegations but later admitted to police he had assaulted the 18-year-old female while continuing to deny he sexually abused the underage girl, according to the court records. Wall was booked into the Iron County Correctional Facility on $10,000 bail where he remains. At the time of publication no court dates had yet been scheduled.